Soon after a waxing session, many of us experience tiny little red bumps and breakouts all over our skin. This phenomenon is nothing but folliculitis, or inflammation of our hair follicles. Why Do I Get Bumps After Waxing? During the waxing process, your hair follicles undergo a lot of stress. Your skin reacts to the heat of the wax and the ingredients in it, leading to inflammation of your hair follicles almost immediately. This, when coupled with the force used to yank the waxing strips off your skin to remove your hairs, leads to the formation of tiny red bumps and often leaves your skin feeling irritated and sore. Also Read – Waxing vs. Epilators – Which is a better method of hair removal? What Can I Do About These Post-Waxing Bumps? If you frequently experience bumps after waxing, then there are some steps you can take to minimize their appearance, as well as free you of the pain, redness irritation, and other symptoms associated with them. In this post, we will tell you a few tips you to follow in order to prevent these bumps from ever occurring, as well as a few post-waxing tips to get rid of any waxing bumps that may have developed. Prevention is always better than cure, so let’s first take a look at some of the ways we can prevent these bumps from forming. Do try these out before heading to your next waxing session to ensure healthy, smooth skin afterwards. Exfoliate before waxing. Before your waxing appointment, exfoliate your skin properly to unclog all the pores in the area to be waxed. This will help remove the dirt, oil, and dead cells from the surface. It also makes removal of hair to be an easier process, as it makes the hairs stand up straight so they can be fully strapped and secured by the waxing strips, and completely removed from their follicles. Hot Compress. Applying a hot compress on the skin just before waxing also helps to prevent waxing bumps. Prepare one by dipping a clean washcloth in a bowl of hot water, squeezing out the excess water, and then applying it over the skin. This allows pores to open up and also softens the hair follicles, making it a lot easier to pull them off during the waxing session. Ensure Cleanliness. Always make sure that the salon you go to has a hygienic environment and uses fresh wax for your waxing sessions. Wax that has been heated over and over again and applicators that are not clean and sterilized can cause breakouts due to irritation. Acne can also develop as bacteria from the contaminated wax or applicator can lodge in your pores and cause infection, which is one of the most common reasons for inflammation (folliculitis) to occur post-waxing. Avoid waxing during your menstrual cycle. During your period, your skin and nerve endings become extra sensitive. So be sure to avoid waxing a few days before your period commences, as well as during active menstruation. You will experience less pain during the waxing process, and your chance of getting bumps is also markedly reduced. And these waxing bumps are the last thing you want to worry about during your monthly cycle, right? Communicate with your beautician. Always make sure you tell your beautician or the person waxing you about your sensitivity to waxing. They can use a gentler wax (like aloe vera or strawberry wax) or reduce the heat of the wax to help prevent any skin irritation from occurring. So now that we looked at a few ways to prevent these bumps, we should also go over some methods to treat them. Even though you may follow all the tips above, there are still chances of these waxing bumps to develop, as your skin may be extra sensitive or need special attention. Everyone’s case is different and everyone’s skin handles the stress of waxing differently. So, here are a few simple steps you can follow to soothe your irritated skin and reduce any bumps that may have emerged after waxing. Do not scrub afterwards. Use a clean damp cloth (warm ones work better) to wipe the freshly waxed area in order to remove any wax remnants. Alternatively, rub some coconut oil to help dissolve the wax and simultaneously soothe your inflamed skin. Be sure not to use any harsh soaps or scrubs on these areas, as they will only aggravate the bumps further. Use an astringent. Using a cooling astringent on the waxed areas will help relieve the inflammation and also close the pores that have opened up during the process of hair removal. Simply dab a cotton ball with some astringent and pat it lightly on the affected area for instant relief. Topical Applications. Topical creams like a low strength steroid hydrocortisone cream can help soothe skin irritation and provide immediate relief. Apply this cream generously over the bumps twice a day, or more if the packaged instructions indicate to. This helps alleviate any irritation or itching sensation on the skin, due to the steroid’s anti-inflammatory properties. Ice Pack. An ice pack is another very simple remedy to get rid of these bumps. Take a few ice cubes and wrap them in a clean washcloth to make an ice pack. Alternatively, use a bag of frozen vegetables. You can place this on the affected area every two hours for 15-20 minutes. The cooling effect from the ice will soothe the inflamed area and reduce the irritation and redness. If none of these methods work alone, then make sure you try a combination of them. Always use more than one preventive method before waxing, and feel free to use more than one treatment regimen if your bumps are really bothering you. 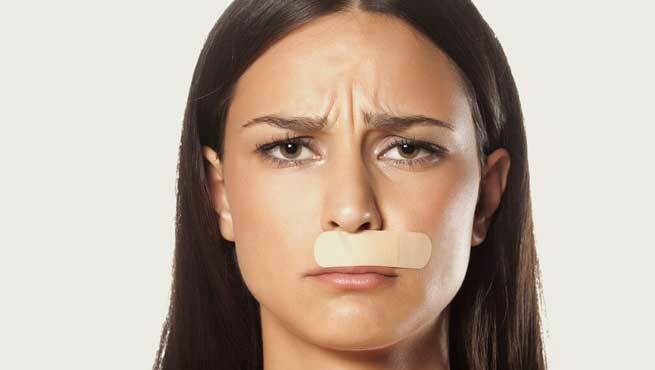 If you have recurring bumps every time you wax despite all efforts to keep them away, try switching salons. 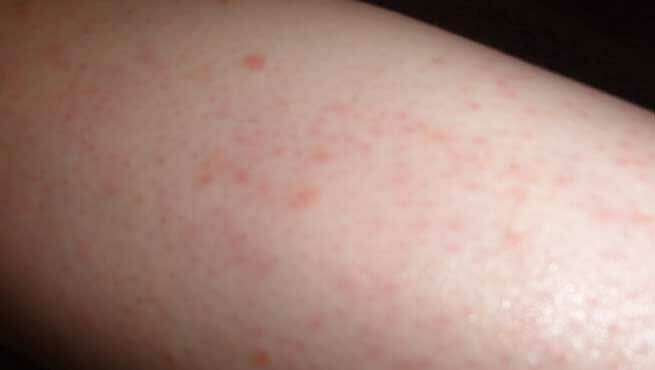 Sometimes, folliculitis forms as a result of a faulty product, like the wax or the wax strips being used on your skin. It could also be due to a poor technique used by your beautician. Never be afraid to try waxing at a different salon. Perhaps it could be the solution to your bumps forever. Have you tried any of these tips? Let us know how it worked for you in the comments below.